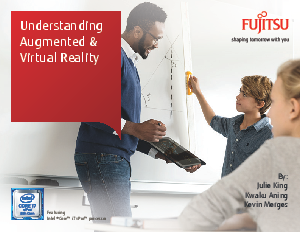 Published By: Fujitsu America, Inc.
Teachers have always experimented with new technology and how it can be integrated to augment the lessons and content given to students. Classroom sets of books afforded teachers the opportunity to give homework, movie projectors and televisions offered an opportunity to display new content, and calculators transformed computational mathematics. Augmented and virtual reality are new tools that can transition pedagogy to include new materials and content. Students can travel to historical landmarks, world heritage sites, and past events from the safety of their classroom. Books can be scanned to reveal videos and three-dimensional content identified by the teacher to enhance the content available to the student. Download this whitepaper to learn more. Intel, the Intel logo, Intel Core, Intel vPro, Core Inside and vPro Inside are trademarks of Intel Corporation or its subsidiaries in the U.S. and/or other countries.